If you need short term housing in Sacramento, we can help. The city was founded in 1840 by a Swiss immigrant, John Sutter, who built a fort now known as Sutter’s Fort which is in the old town area. Here you will find cobbled streets and wooden sidewalks dating back to the early days, and you can ride on historic steam trains and horse-drawn carriages. Apart from the State of California which employs nearly 70,000 people, and Sacramento County another 11,500, the main employers are UC Health System, Dignity Health, Intel, Kaiser Permanente, Sutter Health, and three local school districts. The total population is just short of half a million people. There may be one of many reasons why you need to live in Sacramento for a short period – which could be a month or could be a year. However, the very best way to live in comfort and as near as you can in conditions that you live in at home – wherever that may be – elsewhere in the US, in Europe, Australia, Canada, or wherever else you call home – is to take advantage of our local knowledge provided by our Sacramento corporate housing service. Many people get posted to Sacramento on short term stints to work with the California government, but whatever your reasons, living in your own private “home” beats living in a hotel for weeks on end by a very long way. Certainly, there are plenty of hotels in Sacramento and many of them are excellent, but you wouldn’t want to stay in even the very best of them for more than a couple of weeks. After that, things get very “samey” if that’s a word. The menu hardly changes from week to week, so every Saturday it’s steak and ale pie – which is fine if you happen to like steak and ale pie – but boring if you don’t. Then there’s the expense. Most hotels these days offer free Wi-Fi, but that aside every so-called “extra” costs you – you’ve guessed it – extra! 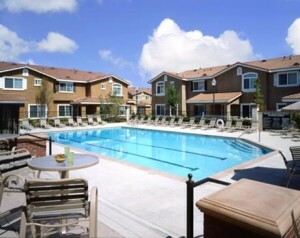 Our Sacramento corporate housing service can provide you with an apartment, condo, or even a four bed house with yard and swimming pool that you can call your own. That means that you can live your life on your own terms for the weeks or months that you have to spend in Sacramento, and you’ll save yourself a good deal of money by doing so. What could be better than that? Give us a call now on the toll-free number at the top of the page and let’s talk about what you need.